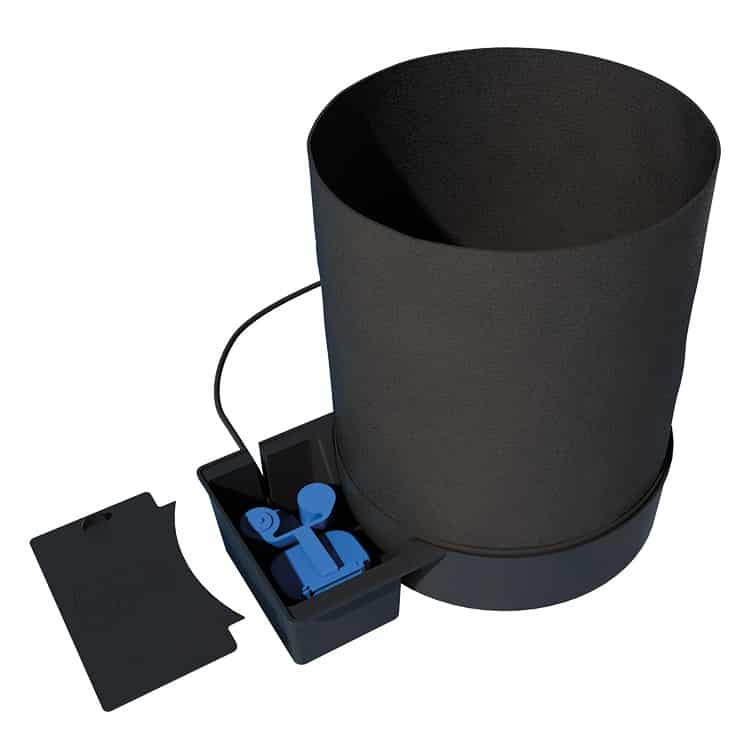 View basket “SmartPot 16 System” has been added to your basket. The AutoPot SmartPot System combines our power-free, water efficient, low maintenance, modular systems with high performance fabric pots for the first time. SmartPots stimulate plant growth by aerating, feeding and guiding the root structure rather than merely containing it. The porous BPA-free, lead-free SmartPot material allows improved gas exchange in the substrate. Free to breathe the root zone can see dramatically enhanced oxygen levels – supercharging growth. When root tips reach the porous side of a SmartPot they are ‘air-pruned’ – detered from extending any further by the air outside. Secondary roots then develop, creating a fibrous root structure with vastly improved moisture and nutrient uptake. Root circling is also thus eliminated making it possible to produce bigger plants from smaller pots. Extremely durable and reusable the SmartPots are easily cleaned betwen uses if desired. Once emptied the SmartPots are best left to dry. After a few days any dust and small roots are easily brushed off. Whilst this level of cleaning is completely sufficient the SmartPot may be machine or tub washed in peroxide in order to sterilize. Do not put SmartPots in a tumble dryer. A SmartPot XL System contains all you need to set up an automated watering system with fabric pots. The compact size and portability that SmartPot brings to XL means jaw-dropping reductions in shipping costs and much easier storage for stores and growers alike. As with all of our systems the SmartPot System is easily extended so many pots can be linked to a single reservoir. The pots and trays can be easily moved at will, if the plants grow too large they can be spaced further apart with ease. Once set up with a water and nutrient filled reservoir this extremely versatile, gravity-fed system will run automatically. It will completely take care of all your plants needs without the need for pumps, timers or intensive maintenance. When growing in AutoPot Watering Systems it is essential that a PotSock Round (PotSock included) be fitted to the base of each SmartPot to provide root control. Please note: Room humidity may be increased when growing with multiple SmartPots indoors due to the exposed, porous surface of the fabric pots.